Even though it may seem that you have an abundant amount of water, the water level is still reducing every passing year. This is why we should preserve the water instead of using it carelessly. There are many places who are facing drought condition, and this is why the idea of water conservation should be something that we practice on a daily note. If your area does not fall in the drought-hit region, then you can still preserve the water and lower your water bills. This way you can do your bit for the conservation of the natural resource. 3. Fix all the leaks. Small or Big. 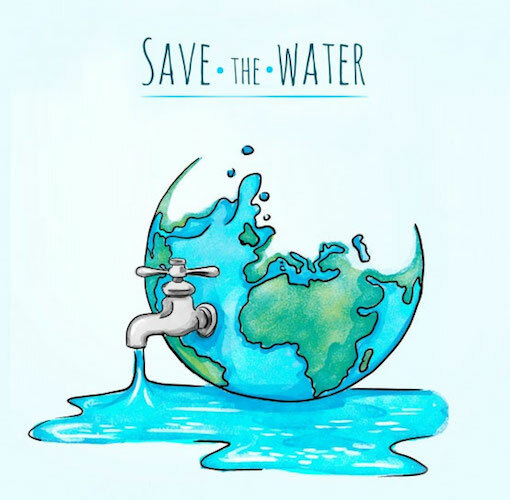 By saving water, you are not only controlling your water expenses but also saving the mother nature by preventing the water pollution and the greenhouse gas emissions. You can increase the life of the septic tank as there won’t be any soil saturated in it. Also, an overloaded sewer system can pass the harmful water to the rivers and lakes. This way, we need to learn how to save the water and also use it in a way that produces less wastage. Water is used for many different purposes, isn’t it? We can’t imagine a second moving on without the presence of water. Usage of water can be divided into two classes – Indoor and Outdoor. Are you using hose-sprays for cleaning the lane and cars? You are wasting a lot of water! Replace them with buckets, fill up the bucket and use the appropriate amount of water instead of using a running hose for the task. This holds true for watering the plants as well, go with the bucket thing in place of the water-hose-spraying. Instill this habit in your child from their young age itself. Kids, generally do this by keeping the faucet on for the whole time while they are brushing their teeth. Turn on the faucet for washing the brush, and then turn it off till you need the water for mouth rinsing. Also, people tend to keep the faucet running while they are washing their hands. Do you need water during the scrubbing time? Therefore, turn the faucet off when you don’t need it. It’s just small water drops dripping out of the faucets, how could that create any trouble! If you could count the water drops wasted in the whole day, that’s when you will get to know about the real loss. Each drop matters, so fix out all the leakages at home. Using the grey water or the water which has been used once before. One of the best examples is the vegetable stock – water which was used for the boiling of the vegetables can be later added to the curry for increasing the consistency. The laundry water can be used for the flushing purpose! While some of the waters, if they are not chemically polluted, can be used for watering the plants. You may say, that now what on earth does that mean! 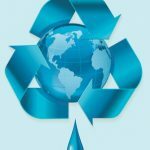 How can I stop the evaporation of water!? The Swimming pool water loses about 1 inch of water every week. You can place a sheet of covering over it to prevent the water from getting evaporated. Save thousands of gallons of water every season by covering the pool! Were the tips interesting and easy to understand? Share us your tips on water conservation, that we can do in our homes! Let the ideas be shared. Do follow us on waterpeek, for more feeds!